Are you struggling to find the best growth medium for your hydroponics system? To find the right fit, first you need to understand your options. Here we’ll go over four of the most popular hydroponic substrates, so you can better navigate grow shop aisles and choose what’s right for you. 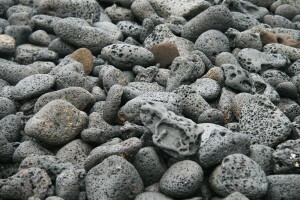 Lava rocks are extremely lightweight and porous. There’s more than one type of lava rock; they are classified by their silicate content. What to watch for: Lava rocks can contain high levels of aluminum, which can leach into the nutrient solution, and their sharp edges can damage roots. 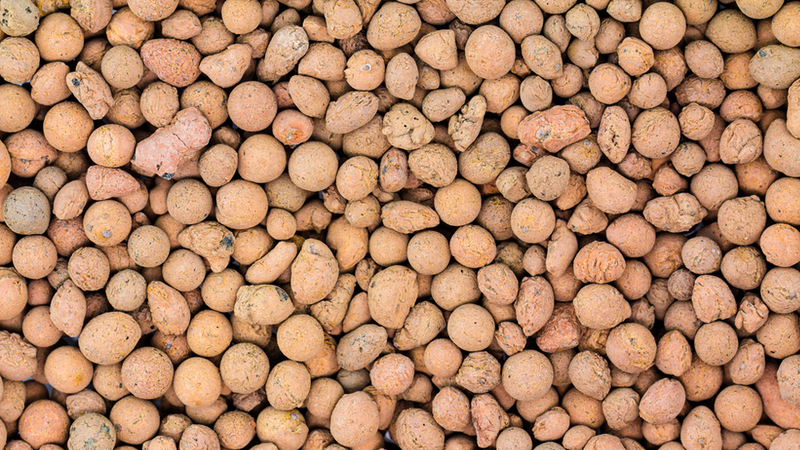 Manufacturers take clay pellets and fire them into a kiln, which causes the pellets to expand and become more porous. Clay pebbles are a great choice for a several reasons. They retain moisture well, and they effectively increase ventilation to the root systems and drain well, both being essential qualities in a growth medium. 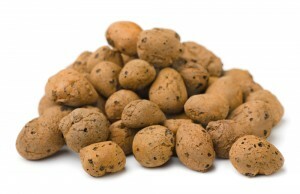 In fact, clay pebbles drain well enough that you can let the pump run continuously. They’re also easy to clean and use again. Keep in mind though that this substrate has been known to increase the pH of your nutrient solution if, in your system, there are tons of pebbles and minimal nutrient solution. 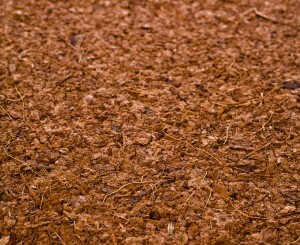 Coco coir is made from a coconut husks and is available in bricks or blocks. 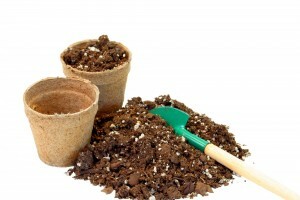 Beware that coco coir might hold too much water and drown the roots. It also contains a lot of salt, but this can be treated. 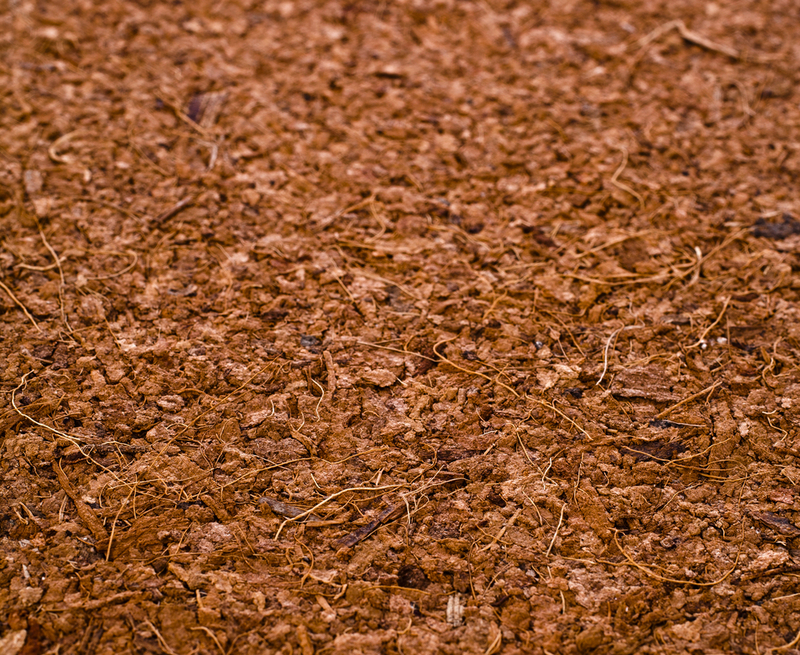 Peat moss develops in a moist, cold, low-oxygen and acidic environment referred to as a bog. Vegetation builds up in semi-decomposed and dense layers. This is the peat. It’s then removed. It is possible peat moss will absorb too much of your nutrient solution. Another con: It’s one of the least renewable substrates to choose for your garden because of its decaying nature. Always allow the substrate to drain in between watering times, as this invites new, oxygen-rich air inside. Make sure whichever hydroponic substrate you choose does not contain too much salt or elements that are harmful to plants and/or people. To conclude, you can grow healthy, strong plants using a grow substrate, just be sure to choose a good one, and one that suits your needs. Consider your options, take your pick and start growing! Note: There are additional pros and cons to each medium. Listed are just a few of the most notable.